For mommies, balancing a career and taking care of the family is quite challenging, and yet, 70 percent of women with kids need to work given the current economic status. The good thing is that companies are starting to recognize the challenges mothers encounter in the workplace. Also, companies are now giving value to work-life balance – since it positively affects the productivity of employees. However, not every company – especially startups – are capable of giving new moms a longer paid maternity leave. The good thing is that businesses are now thinking of innovative yet budget-friendly ways to make the office more mommy- and family-friendly. However, even if your company doesn’t have the means to offer such benefits, there are some adjustments you can do to make things easier for moms in the office. This mommy-friendly setup is a big plus for new mothers. Even law firms in the States who are quite infamous for their poor work and life balance management are joining the trend. An example would be Reed Smith, where a new mothers’ room was built for mothers who return to the after their maternity leave. Having a successful babies-at-work program may be challenging – but, a lot of companies are doing their best to provide amenities, such as areas for kids to play and sleep in or diaper changing booths. No obstacle is too big when you know you have a support group. Sharing experiences with other moms and hearing stories from those who succeeded through their new motherhood experiences helps in boosting self-esteem and confidence. A good example of this is how Unilever in the States started their successful Working Parents’ Network. Being in good health is crucial – yet, mothers overlook this often due to distractions at work and in life. Providing a health and wellness program for moms will help keep the mothers in the workplace in tip-top shape. Flexible work arrangements may be suitable for parents in the workplace. Through flexitime, moms can arrange a work schedule that suits their family life, yet still be able to deliver the same quality output. 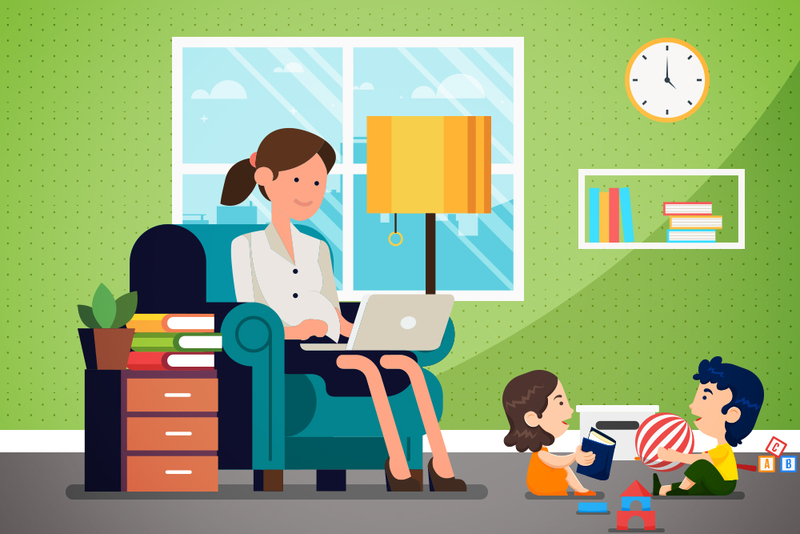 Through a scheme called telecommuting, mommies have the option to work at home. Through this setup, moms can focus on doing their jobs without compromising the time they need to take care of their kids. Truly family-friendly organizations exert extra effort in inviting the families of their employees for events where they can mingle and socialize with their colleagues. In some BPOs and other companies, Halloween and Christmas parties – as well as corporate social responsibility get-togethers – are celebrated with the families or kids of staff members.